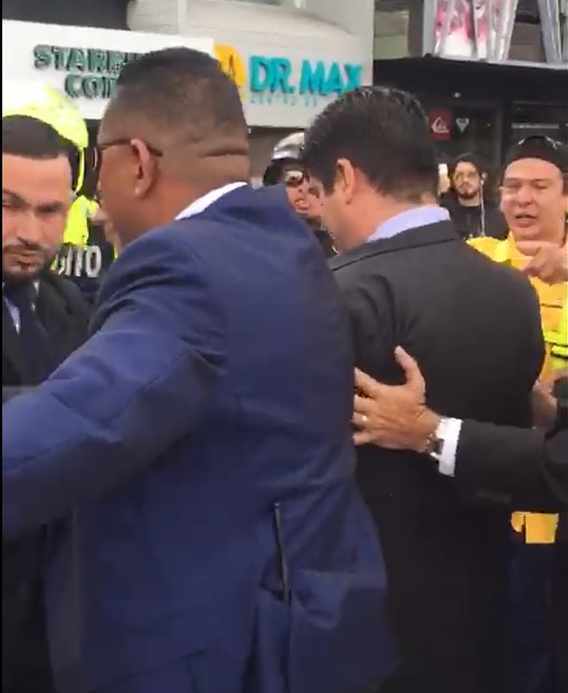 Police and presidential bodyguards had to intervene when Carlos Alvarado crossed the Plaza de la Cultura to his vehicle. 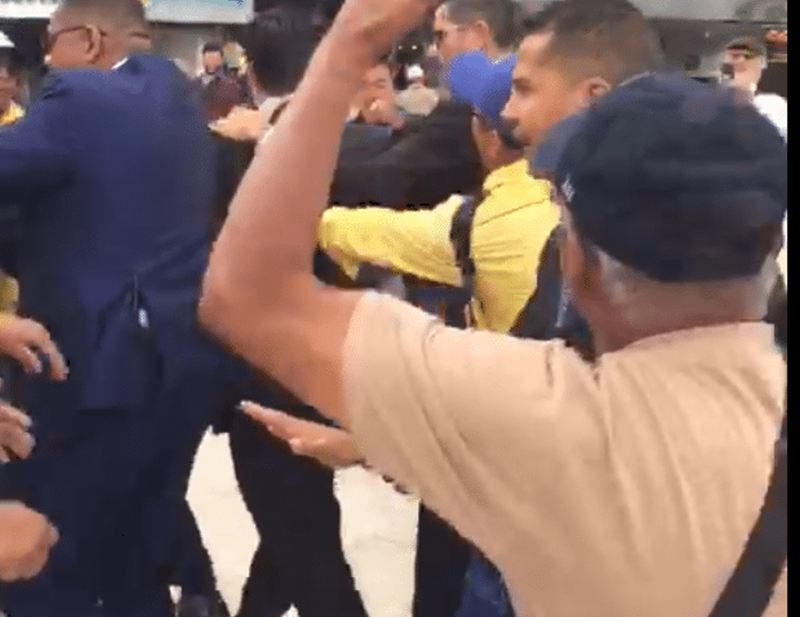 A group of protesters chased President Carlos Alvarado this morning, around 11 am, when he was leaving an urban mobility event at the National Theater in downtown San José. 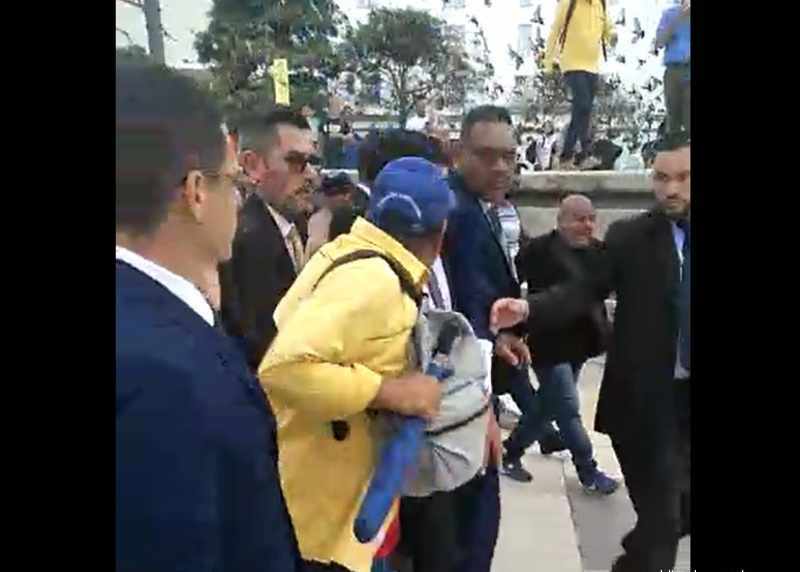 The president crossed the Plaza de la Cultura surrounded by bodyguards and police, while dozens of protesters insulted him. 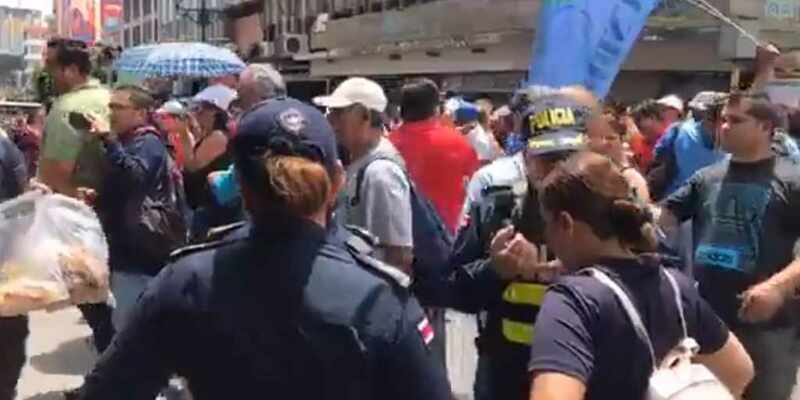 Police officers had to push away people who shouted insults at the President, while he was rushed by his bodyguards to a vehicle parked in front of McDonald’s on the boulevard (Avenida Central). 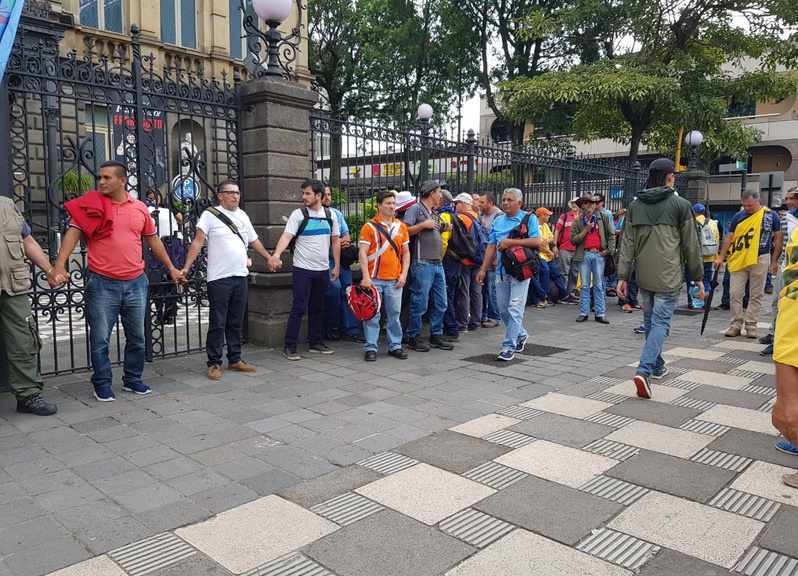 Previously, a group of protesters held hands and formed a human cordon to prevent the departure of Alvarado, however, police officers asked them to clear the entrances and exits of the theater. 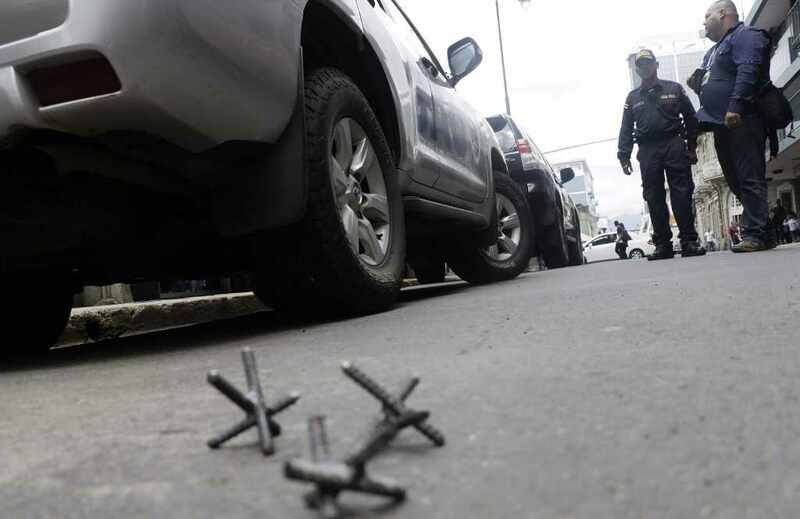 “It became necessary the intervention of the Police to ensure the safe exit and while these incidents were developing, some of the people who participated in this movement took the opportunity to cause damage to some police vehicles that were in the vicinity and even found some artifacts called miguelitos that are used to punch the tires of vehicles,” said Daniel Calderón, director of the Fuerza Publica. In the confrontation it was clear that the president’s security detail failed. 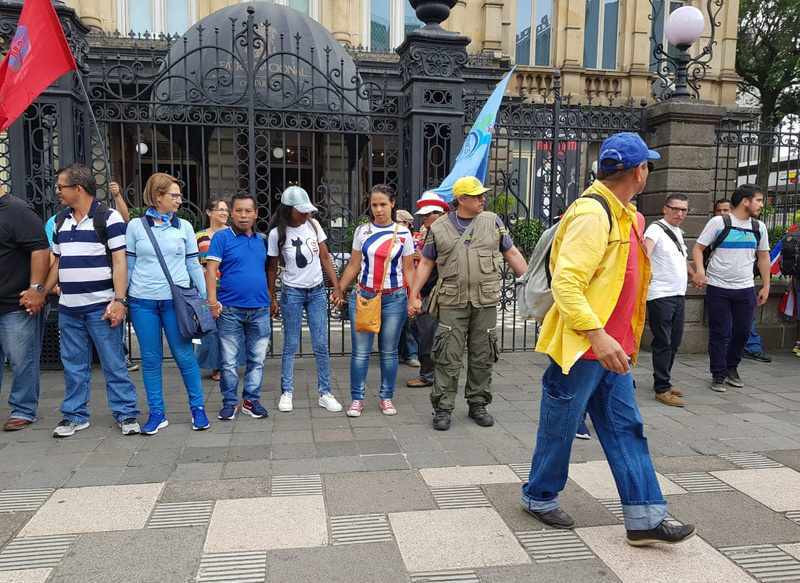 For several minutes, both Alvarado and the First Lady, Claudia Dobles, ministers and representatives of international organizations were cornered, surrounded by demonstrators. In one of the photos circulating the social networks, a demonsrator is seen putting his hands of Alvarado. Eduardo Trejos, Head of the Directorate of Intelligence and Security (DIS) and responsible for the safety of the President evaded answering why there were flaws in the security this morning. 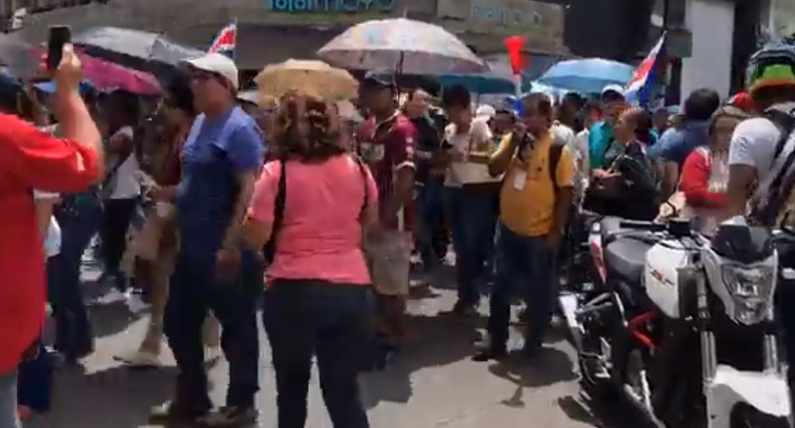 After the attacks, in a video, Carlos Alvarado confirmed that he is in good condition and indicated that the fight to “avoid enormous risks” for the country will continue. “Whoever has had any doubts, no, we are not going to let up and we are going to continue for the good of Costa Rica,” Alvarado says in a video posted on Twitter. “Let no one take away our peace, let no one take away the peace of moving freely in our country and let no one take away the opportunity as a democracy to discuss politically but in peace and with respect and for that there are democratic institutions that this country has, the strongest in the region, to have these democratic discussions,” added Alvarado. A follow up video posted this evening, in the same area he was attacked in the morning, President Alvarado demonstrates the “peace and tranquil” that is Costa Rica. In the self-made video, the President is seen smiling, responding to passersby, people walking in the background as he pans the camera to show there are demonstrations, hugging people and repeating the message that “No one will take away our peace!”. Next articleAn act that dishonors the country. Attack on the president unleashes strong repudiation.